I get so amused these days whenever I go to the malls for my groceries and see families posing in front of the Jollibee. You know, that oversized sculpted red and yellow bee that sells chicken joy instead of honey. Yes, I and other citizens of this city have become so blasé about malls. Once upon a time, we must have looked exactly as bright-eyed on the occasions that we went to the big city to gawk at the large buildings and eat at the airconditioned fastfood joints. Not too long ago, the closest there was to malling in this city was to walk the short distance from school to Narkabowl and order a plate of cold spaghetti with some garlic bread. Or, if one had time, to ride uptown to Mama Bear’s for some ice cream. Otherwise, hanging out was in some rundown lomi joint or gotohan. Then, in the nineties, this small Canadian chain Brownies opened shop uptown along the main avenue and offered an alternative venue for grabbing a snack or hanging out. The crew was often lethargic and did not smile too often; but what could one expect of a company that set up shop in places that the big chains would not touch with a ten-foot pole? Its arrival, nonetheless, was universally welcomed in the city because it was the first of the food chains to come. 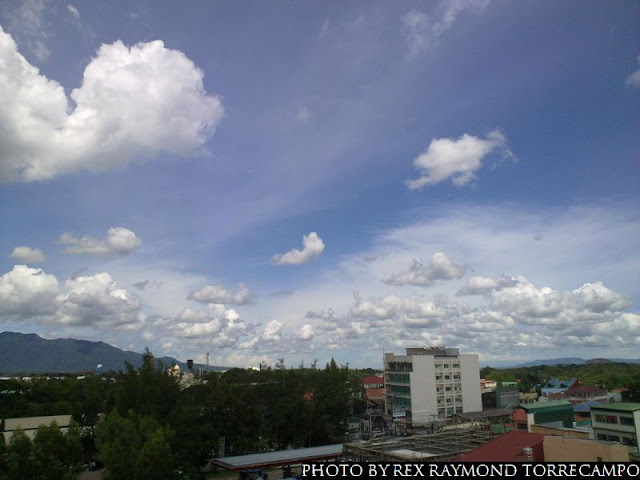 Before long – or, at least, a colleague intimated to me – a person with a clicker was standing at the junction – where the road forked into B. Morada Avenue and the Ayala diversion road – counting the vehicles that passed by. This, we later learned, was part of a study to determine the feasibility of setting up a McDonald’s store right where the road forked. Of course, at around this time, McDonald’s – despite its worldwide reputation – was really the poor relation to the local chain that had so captivated the Filipino imagination: Jollibee. McDonald’s was, nevertheless, well-received even if its burger was bland and its ketchup sour. At least the airconditioning was good, the place was always spotlessly clean and the crew was always snappy. Sure enough, Jollibee did come; albeit – then – it chose a location reasonably far enough to avoid direct competition. The first Jollibee restaurant was uptown right next door to the Cathedral of St. Sebastian. I did not go visit until about a month after it opened. Everyone who had been there had nothing but complaints about the sheer volume of people wanting to dine, the long queues at the counter and the near-impossibility of getting a table. When I finally did, it was still quite frantic; although, having come from Sunday Mass, it was only as one might have expected. Most everyone who went to Mass walked the short distance to Jollibee for breakfast. I remember asking the crew of McDonald’s if the arrival of the rival fastfood chain had any effect on sales. There was, I was told; but not significant. On the other hand, the writing was on the wall for Brownies. It went practically unnoticed and unlamented; probably to set up shop in some backwater where the competition was not asphyxiating. Pretty soon, Chow King cheekily set up shop right next door to McDonald’s. Because it was so close to where I worked, I went on opening day. Of all people, who do I find dining – in working uniform at that – but Sandy Bolo, a former player employed by McDonald’s and as much a fixture of the restaurant as the Ronald McDonald statue. “For a change,” he whispered when I quizzed him. Well, in the late nineties, the rumour that had the whole place abuzz was that Robinson’s was actually going to build a mall conveniently just five minutes on foot from where I worked. My word, but we – in the city – were joining the big leagues. 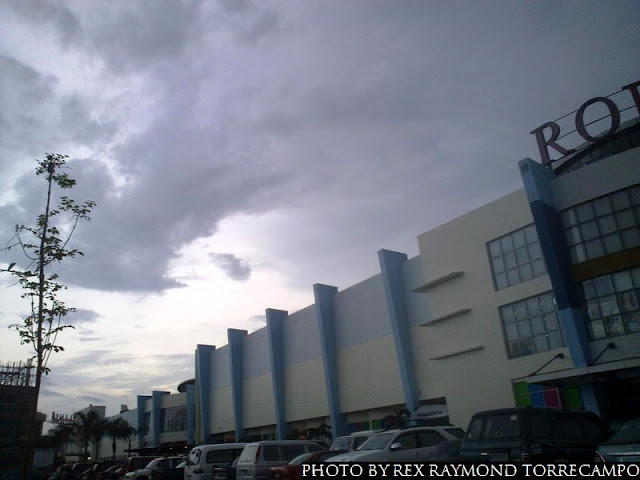 Robinson’s would not be the city’s first because Fiesta Mall in Marawoy was already in existence. Although business in the latter was also brisk, its relative inaccessibility was always going to be problematical if and when the big boys came. Naturally, because Robinson’s Place was so close, I went on the day that it was inaugurated. 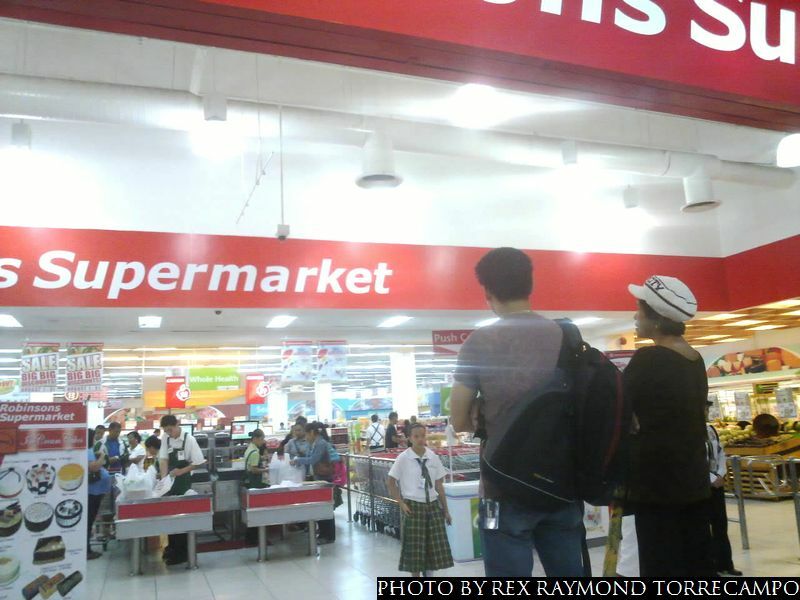 Having been to the largest malls in Metro Manila, I knew that this one was middling in terms of size. That said, I almost could not get over the fact that there was a mall just five minutes away from where I worked. Of course, eventually, the big one did come as well. I still rather tend to go more to Robinson’s because of its proximity to where I live; but it is not the first mall that one asks about when visiting a city for the first time. SM: now that’s the big one! It is almost as though SM’s arrival is a coming of age for any city. There were rumours even before Robinson’s Place was built that SM was negotiating to build on this vacant lot just five minutes on foot from where I live. I had mixed feelings about this. On the one hand, it would have been convenient. On the other hand, it would have disturbed the neighbourhood. In the end, I was happy SM built its mall elsewhere. Well, there you are! To think that the malls and fastfood restaurants that one took a bus for to visit are now right in the neighbourhood. It has actually come to the point where malling now carries limited appeal other than visiting the supermarket for groceries. That is why I am always amused to see those having their pictures taken inside the mall. Not from around these parts, apparently. And pretty much how we must have looked once upon a time, a mere two decades ago, when we went to Manila to do the same! As with everything else, there is naturally a trade-off. It is noticeably warmer in the city; not to mention noisier. There are fewer fireflies that dance in the dark of the night. Even on moonless nights, there are fewer stars that twinkle up in the skies. The cool climate, starry nights and serene ambience: these were also things that we were so blasé about here in Lipa, once upon a time.